Leftists are in constant contradiction, like the Chicago environmentalist scumbags. No matter the issue, Leftists are for it, before they are against it. As long as the issues doesn’t impact Liberals personally, they remain content. Leftist support the military, until they decide to make the military into baby-killers. Also, Leftist embrace law enforcement, until it’s time for them decry law enforcement. Now we have another such issue as reported in the Washington Times. 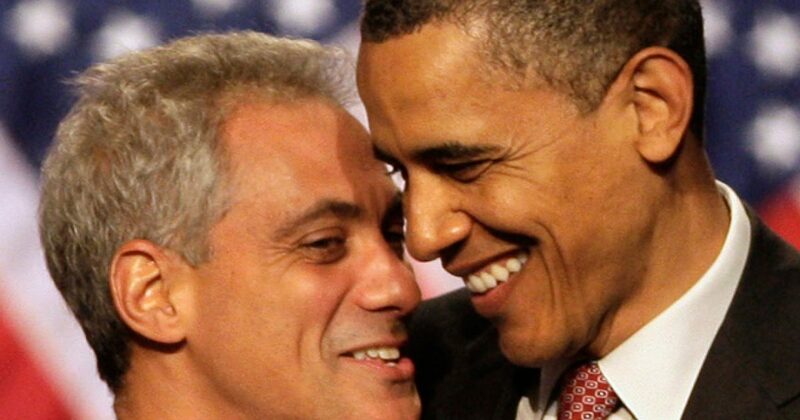 The same Chicago environmentalists who blocked filmmaker George Lucas from building a museum last month are now welcoming the nearby Obama presidential library, sparking accusations of political hypocrisy. Juanita Irizarry, executive director of Friends of the Parks, said Friday that her group is “thrilled” to see Obama Presidential Center being built in a park on Chicago’s South Side. Just five weeks ago, the group forced Mr. Lucas to abandon his plans for a similar lakefront project about seven miles north of the proposed Obama site after a two-year legal battle. So much for “white privilege,” huh George?! The Chicago environmentalist scumbags’ decision contradicts their own charter. The Obama center requires bulldozing trees and grass at Jackson Park. Meanwhile, the proposed Lucas museum would have been built on a parking lot used by Chicago Bears fans for tailgating. Let’s see; wrecking the environment for the black man’s library or razing a parking lot for the white guy. Every environmentalists dilemma? Pretty much an environmental “no brainer,” unless you’re dealing with hypocrite Liberals, and crooked Chicago politics.